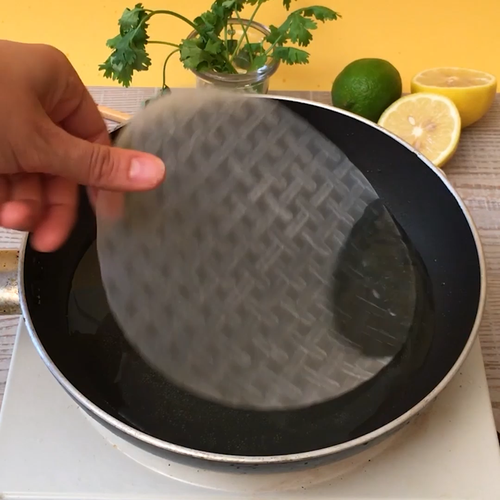 Heat the vegetable oil in the saucepan, and fry the rice paper sheets one at a time to allow them to puff up. Fry the prawns and sesame seeds in a frying pan in a little vegetable oil. Meanwhile leave the rice noodles to soak in boiling water and cut the carrot and cucumber into thin batons. Prepare the dressing by mixing the lime juice with the soy sauce and 1 tablespoon of vegetable oil.